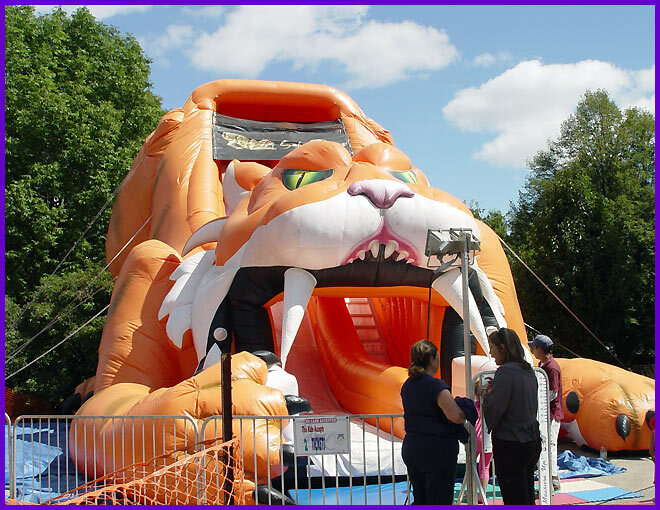 Fun for the Little Ones or bigger ones Too! The Frog Hopper is a exciting mini-drop tower attraction built just for the little ones! Height Requirement: Over 36″ Riders must sit upright, and must be secured within the restraint system. Riders must hold onto the lap/shoulder bar with both hands when the ride is in motion. A truck ride for the little ones! 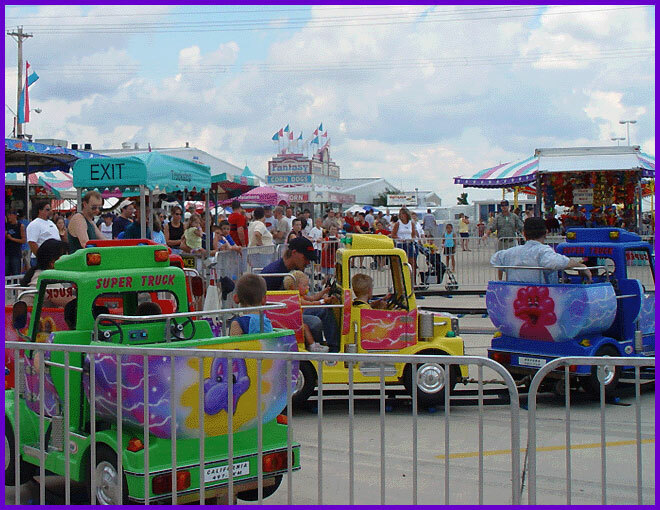 This ride gives kids the chance to drive their own big rig while also being large enough for parents to sit with their children on the ride. 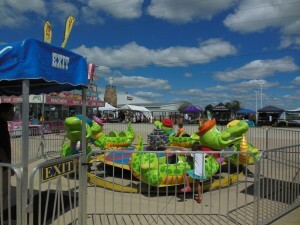 This is the perfect ride for kids to experience if this is their first time to the carnival. Height Requirement: Over 36” unless with a supervising adult. Riders must be able to setup into the trucks seats. Height Requirement: Over 36” under 54” Riders must be able to step up onto the ride platform and into the cars, restrained by a lap belt. Kids, rev your engines! Calling all Harley enthusiasts – the Motorcycle Jump features a collection of cool motorcycles that pop wheelies and go over jumps! kids can go Hog Wild; riding on motorcycles, even jumping into the air! This is a kid favorite that gives kids a little bit of aerodynamics, while still keeping them grounded. 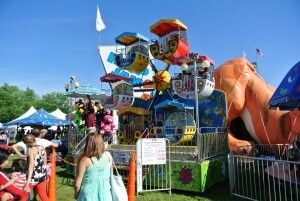 This is a great ride for toddlers and those who are just a bit too short for the big kid rides. 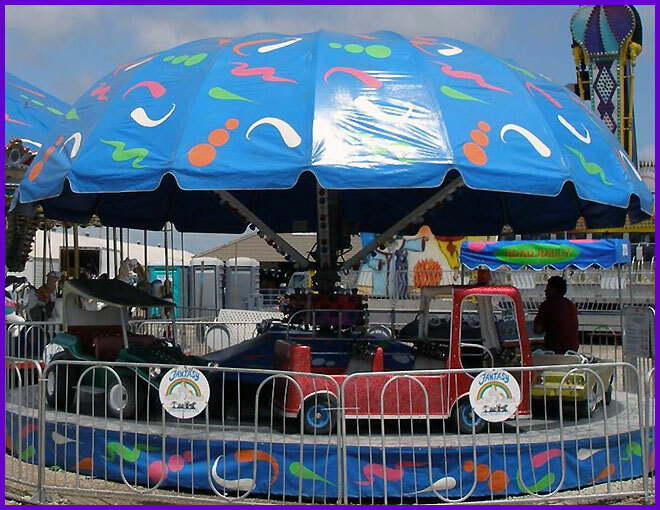 No adults allowed; this is a KIDS ONLY ride! 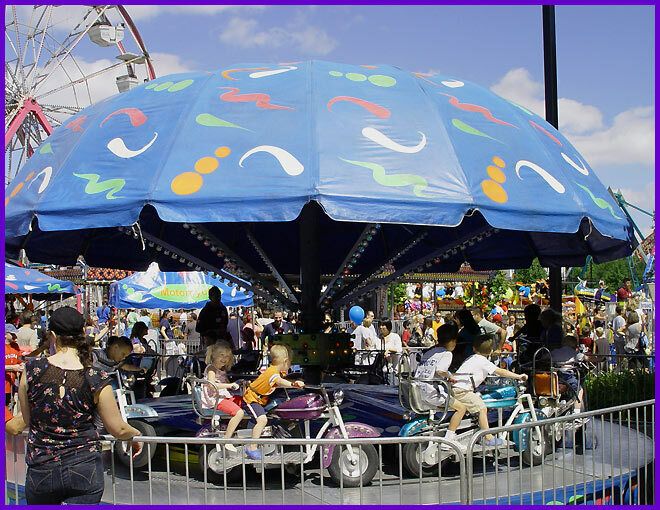 Height Requirement: Over 36” under 54” Riders must be able to step up onto the ride platform and onto the cycles. 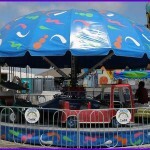 A much smaller version of the Century Wheel, this ride is designed with kids in mind! Only going 20 feet in the air, kids are able to get a feel of what it means to by high above. 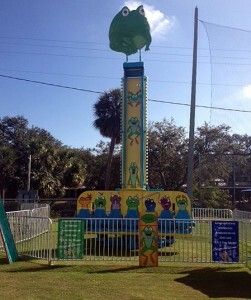 Parents can ride with their children on this ride. Height Requirement: Over 36” unless with a supervising adult. Riders must ascend/descend stairs along with stepping into the cars. 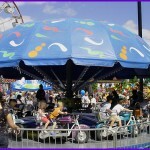 Riders must maintain a seated position at all times while riding this ride. 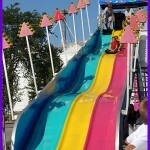 Slide down this family favorite. 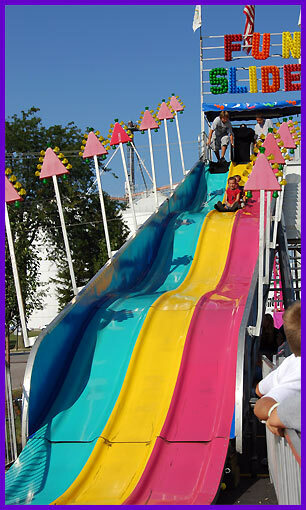 Decked out with three different colored lanes, families are able to race down this 40 foot slide of fun. Parents can even let their smaller children sit with them and they can slide down together. Height Requirement: Over 42” to ride alone; riders between 36″ and 42 must ride with a supervising adult Riders must climb several stairs to the top of the slide. Riders must sit up and maintain a ‘seated’ position while riding down the slide Feet First. 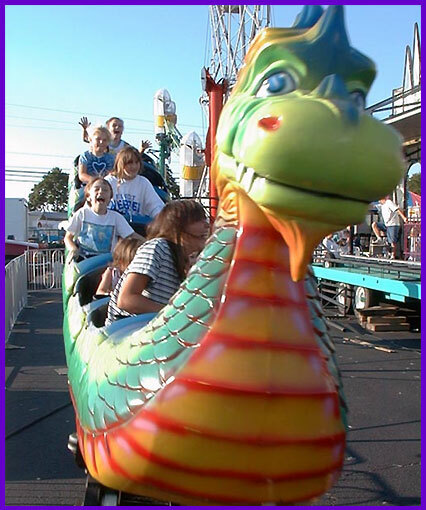 A roller coaster just for kids, this dragon themed roller coaster is a great ride that gives kids the thrill of a roller coaster but is also not too scary. 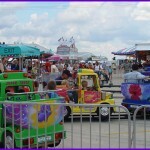 It’s a great ride for kids who want to ride the bigger rides but are unable to. This ride is KIDS ONLY! This Saber Tooth is hungry! He might be scary looking, but is very tame. 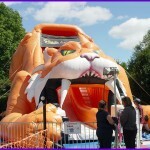 Climb into the Saber Tooth’s mouth 27 feet into the air. Then slide and bounce down to the bottom of his mouth! 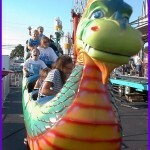 This is a great ride for little kids and big kids. Height Requirement: Over 42” & under 76” Riders must remove shoes before entering the slide and climb up several stairs to the top of the slide. Riders must sit up and maintain a “seated position” while riding down the slide Feet First. 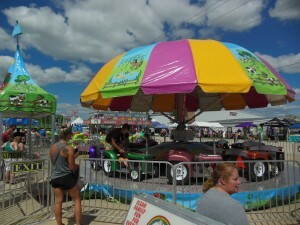 New This Year Spring of 2016, for Kids ONLY, Ride on Your Choice of a Caterpillar Tractor, John Deere or Name Your Own. Down on the Farm Fun!! 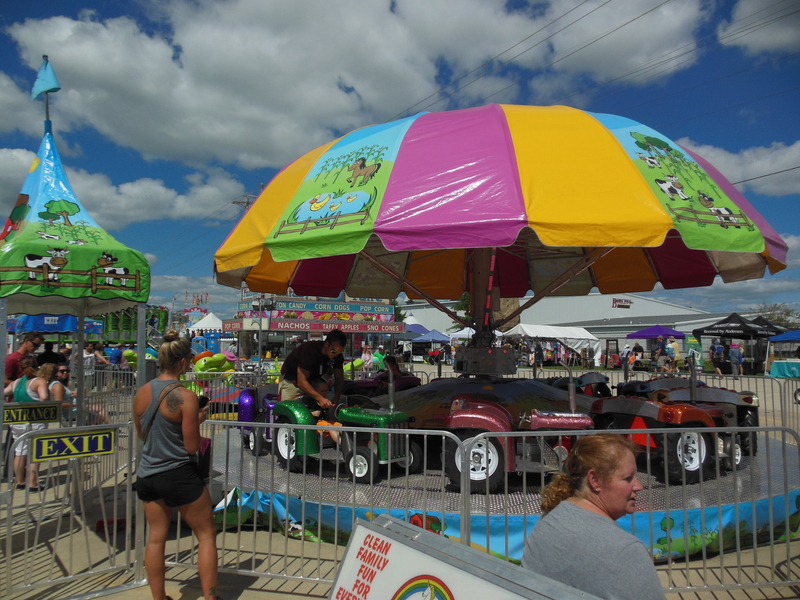 Height Requirement: Over 34″ and Under 54″ Riders must be able to step up to the platform, step into the tractor and be restrained by a lap belt. For the Kids ONLY! 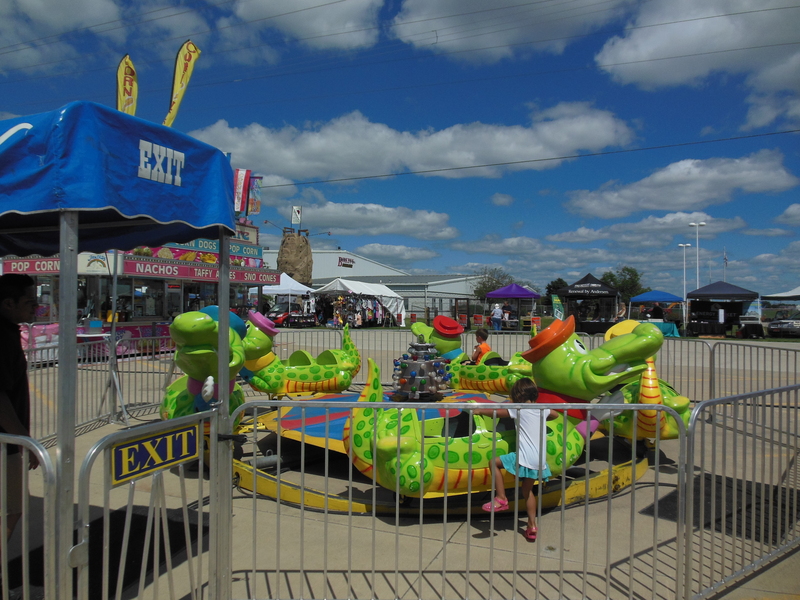 Kids over 36″, and under 54″ can ride on Wally Gator! Height Requirement: Over 36″ and under 54″ must be able to step into the tubs and be restrained by a lap belt.